After securing our new domain last year, we’ve been at work creating a brand-new experience for our customers. After months of building it up from scratch, testing, and coding, we’re proud to announce that our efforts have culminated in our new stable website at www.pfe.tech! With this website, visitors will have better access to information regarding our products. There will be access to technical information, product literature and documentation, pictures, and how-to guides. There will also be product manuals and videos to show the optimal use of every product. Datasheets and catalogues are all now easily available and downloadable at every product’s page. We’ve also included a helpful full-product-catalogue page where users can browse our many products right from one page. Generally, navigation has also become simpler and more concise with the use of different navigational tools such as header menus and intuitive links to categories. You can browse by brand or types, or browse by properties. Cataloguing such a big range of products isn’t easy, but we think we’ve done a great job of making a this website a one-stop resource of products that are easy to find and easy to get information for. After all, we’re talking about more than a hundred products in this one site alone. With all that said, we’re still a bit unwilling to let go of our old website. 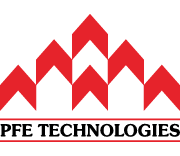 www.pfetec.sg will continue to exist in its current form, but will no longer get any updates or new product information. There will be reminders that the new website will have more and better information, but users used to the old site will find it still easy to navigate, despite its age of more than ten years. We hope you’ll enjoy using our new website! As with all things new, there may be some teething issues, so do let us know if something doesn’t work by contacting us. Cheers!